Accelerate your career with a graduate degree from Drexel LeBow College of Business in Philadelphia. Drexel LeBow has been recognized as a top business school by higher education and business publications and is accredited by AACSB International. The College seeks a diverse group of students with a wide range of skillsets to further our courses and improve student experience. 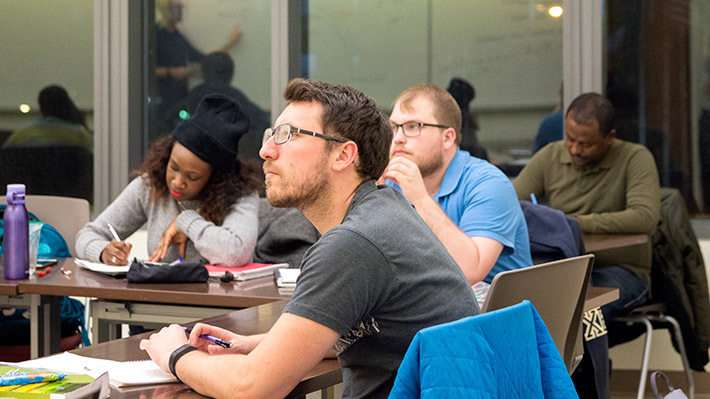 In our highly customizable MBA and MS programs, graduate students will learn to think strategically from world-renowned faculty and top practitioners in an inclusive environment of unparalleled academic focus. Programs can be pursued full-time or part-time, with many courses being offered online. Our graduate minors allow you to customize your degree and develop additional skillsets to suit your career goals.